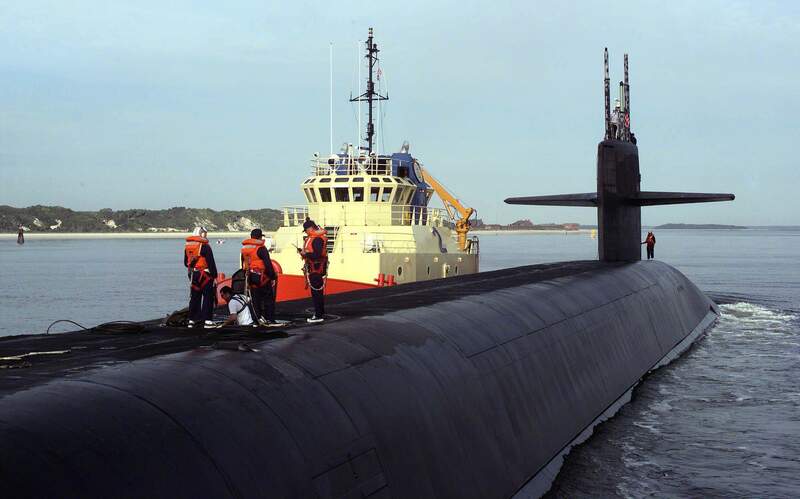 Ohio Class Ballistic Missile Submarine: Laid down, 15 September 1988 by the Electric Boat Division of General Dynamics Corp., Groton, CT; Launched, 17 July 1993; Commissioned, USS Rhode Island (SSBN-740), 9 July 1994; In commission, homeported at Kings Bay, GA. Specifications: Displacement, Surfaced: 16, 600 t., Submerged: 18,750 t.; Length 560' ; Beam 42'; Draft 38'; Speed, Surfaced/Submerged 20+ kts; Complement 153; Test depth 1,200'; Armament, 24 missile tubes, four 21" torpedo tubes; Propulsion, S8G Nuclear Reactor, two geared turbines at 60,000 shp, one propeller. 84k Groton (SSN-694) arriving at New London, passing Electric Boat yard and Rhode Island (SSBN-740) fitting out in early 1993. Photo by Ken Hart. 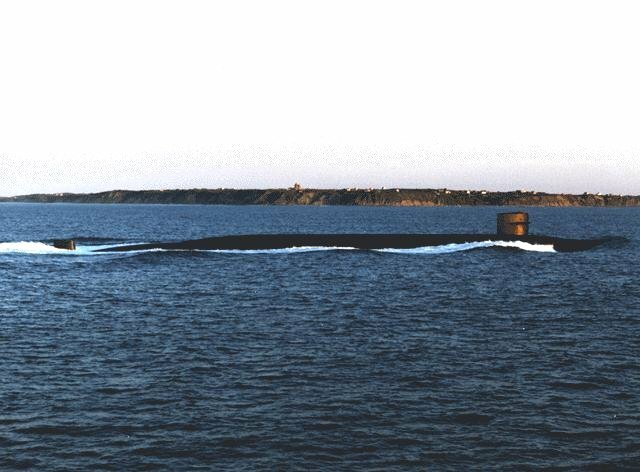 58k Starboard view of the Rhode Island (SSBN-740) underway off the coast of Rhode Island following one of the trials, 11 May 1994. An Electric Boat Div., General Dynamics Corp. photo now in the USN photo archives. Text courtesy of John Eldridge. 57k Rhode Island (SSBN-740) off Block Island Sound (because they wanted part of Rhode Island in the background and in this picture, Block Island is in the background), 11 May 1994. An Electric Boat Div., General Dynamics Corp. photo courtesy of Federation of American Scientists. 56k Port side view of the Rhode Island (SSBN-740), underway off the coast of Rhode Island following her trials, 11 May 1994. An Electric Boat Div., General Dynamics Corp. photo courtesy of Federation of American Scientists. 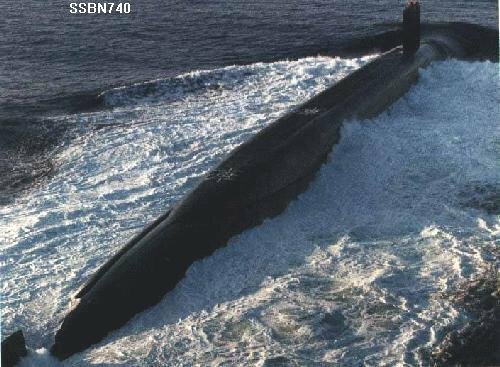 113k Bow on view of the Rhode Island (SSBN-740) possibly underway off the coast of Rhode Island following one of the trials, 11 May 1994. An Electric Boat Div., General Dynamics Corp. photo now in the USN photo archives. 735k A port side view of the fore section of the nuclear-powered ballistic missile submarine Rhode Island (SSBN-740). The ship had left New London earlier that morning and this picture is of us arriving in Newport. The bridge in the background is the Newport-James Island bridge. 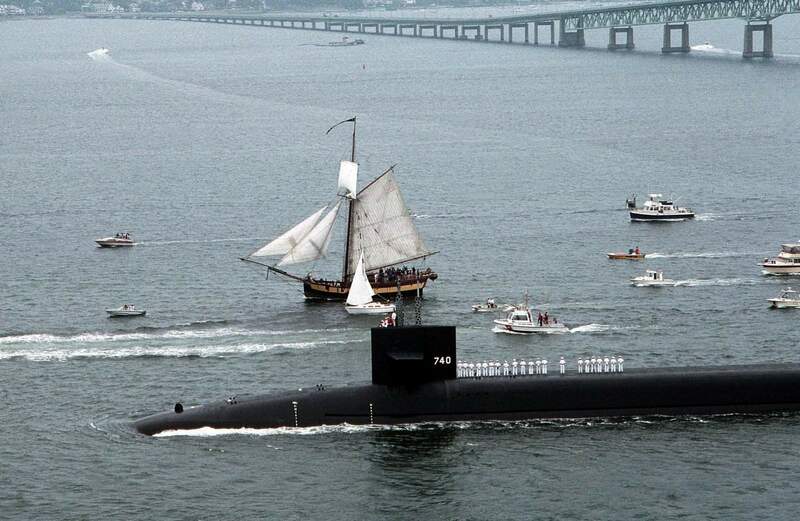 A replica of John Paul Jones's Continental sloop of war Providence is off the starboard side of the submarine cheering the ship on, 8 June 1994. (As an aside, unknown to us, the sloop had a saluting gun of some sort ready to fire. When that thing went off, scared the daylights out of us.) USN photo # DN-ST-95-00531, by PH1 Roers, from the Department of Defense Still Media Collection, courtesy of dodmedia.osd.mil.& submitted by Bill Gonyo. 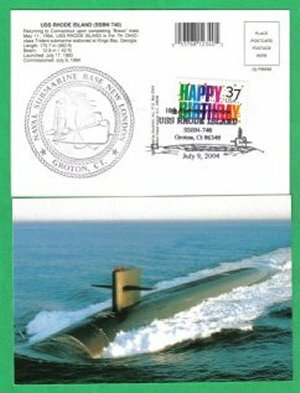 26k Commemorative postal cover issued on the occasion of the Rhode Island (SSBN-740) commissioning, 9 July 1994. Courtesy of Jack Treutle (of blessed memory). 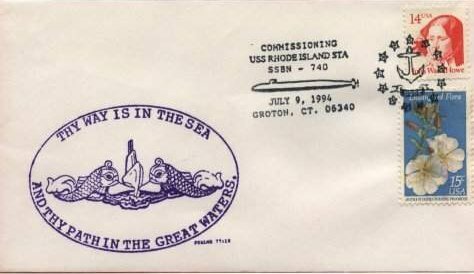 29k Commemorative postal cover issued on the occasion of the Rhode Island (SSBN-740) commissioning, 9 July 1994. Courtesy of Jack Treutle (of blessed memory). 699k Eleven page Welcome Aborad PDF of the Rhode Island (SSBN-740). Photo courtesy of Scott Koen & ussnewyork.com. 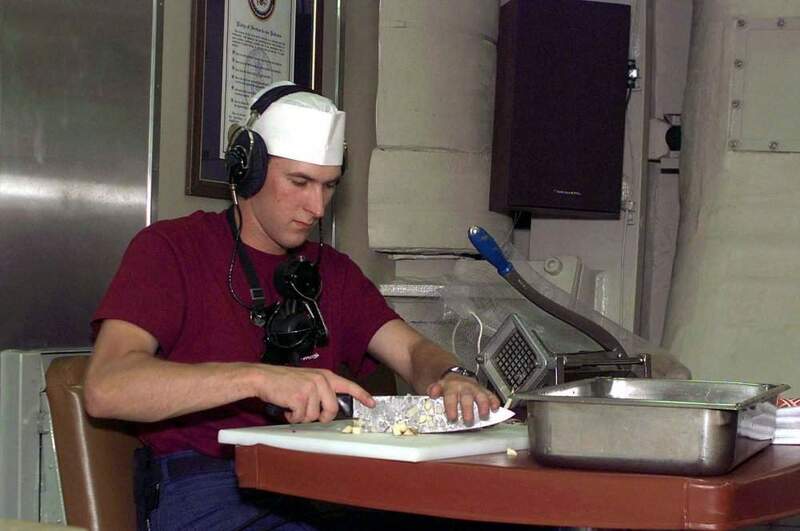 59k US Navy Seaman Recruit William Kraft prepares breakfast while standing phone watch duties on board the US Navy's nuclear powered ballistic submarine, Rhode Island (SSBN-740) on 8 October 1996. USN photo # DN-SD-01-09742, by Patrick Nugent, from the Department of Defense Still Media Collection, courtesy of dodmedia.osd.mil.& submitted by Bill Gonyo. 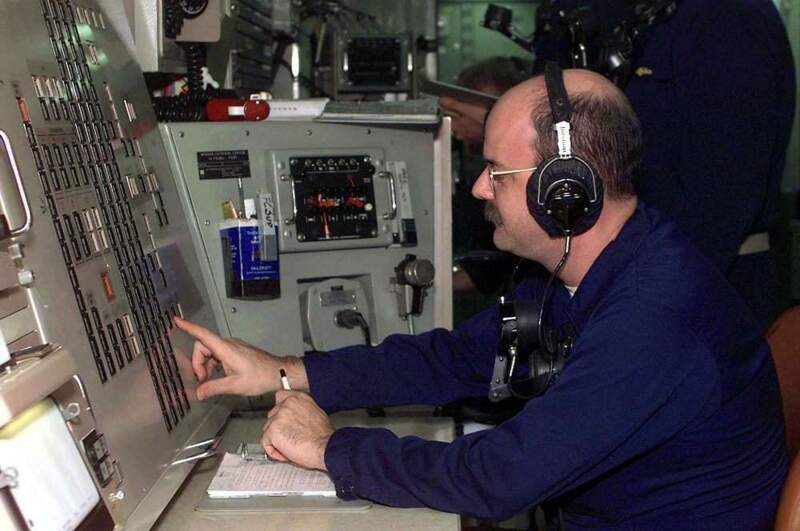 72k US Navy Missile Technician's 1st Class Mark Dorris performs duties as fire control supervisor during a Trident missile launch training drill on board the US Navy's nuclear powered ballistic submarine, Rhode Island (SSBN-740) on 8 October 1996. USN photo # DN-SD-01-09741, by Patrick Nugent, from the Department of Defense Still Media Collection, courtesy of dodmedia.osd.mil.& submitted by Bill Gonyo. 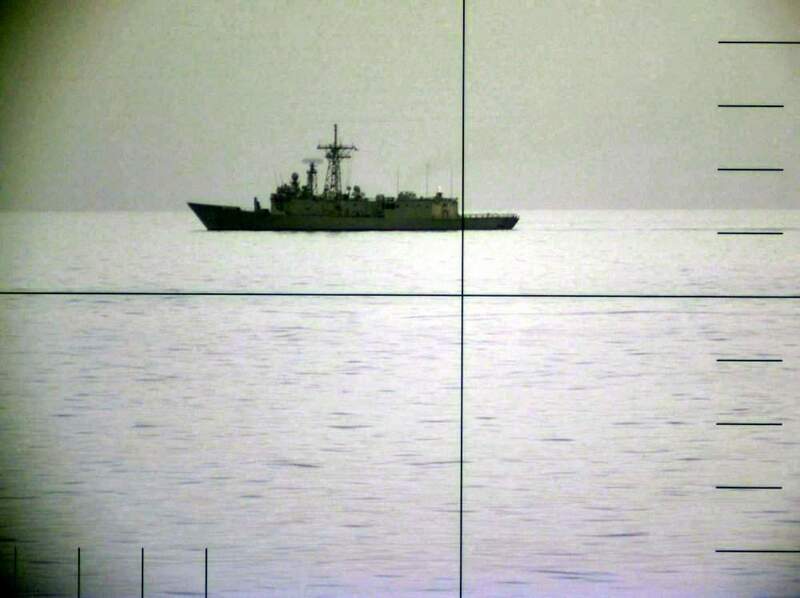 56k While on patrol in the western Atlantic, the US Navy's nuclear powered ballistic submarine, Rhode Island (SSBN-740), spots a US Navy frigate through it's periscope. USN photo # DN-SD-01-09739, by Patrick Nugent, from the Department of Defense Still Media Collection, courtesy of dodmedia.osd.mil.& submitted by Bill Gonyo. 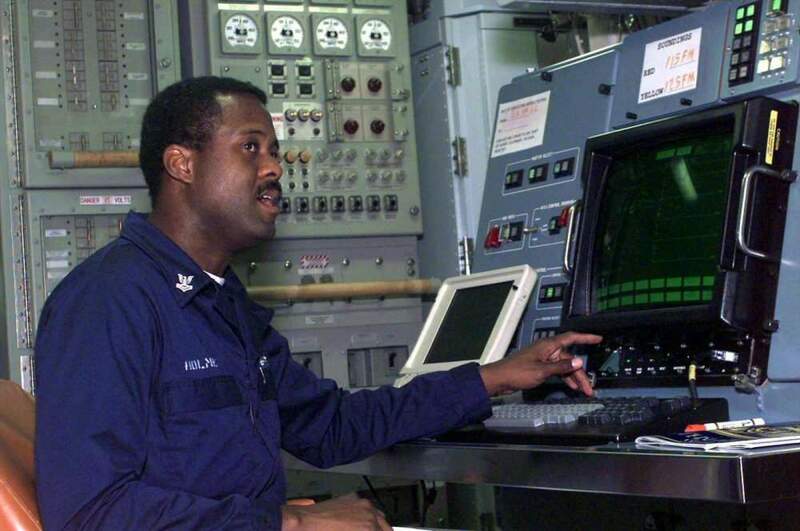 73k US Navy Electronics Technician's Mate 2nd Class Holmes works a navigational problem on board the US Navy's nuclear powered ballistic submarine, the Rhode Island (SSBN-740), on patrol in the western Atlantic. USN photo # DN-SD-01-09740, by Patrick Nugent, from the Department of Defense Still Media Collection, courtesy of dodmedia.osd.mil.& submitted by Bill Gonyo. 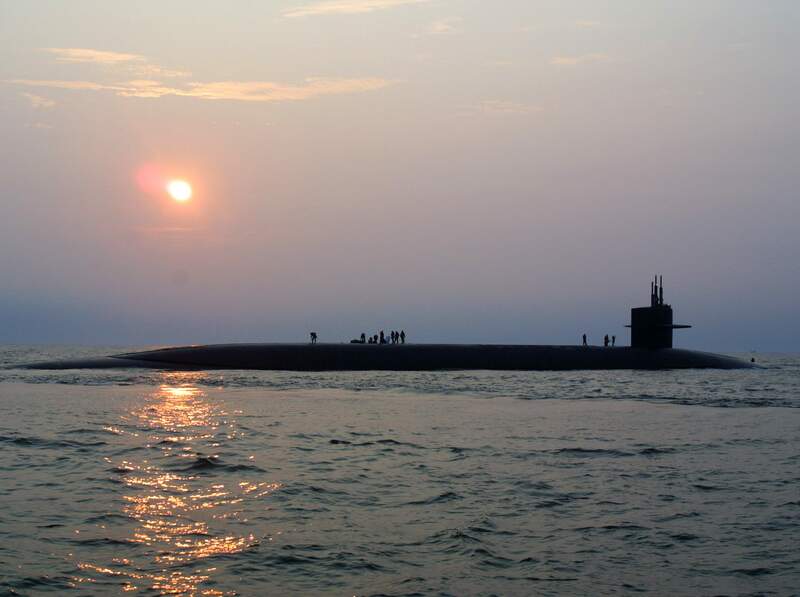 258k U.S. Navy's nuclear powered ballistic submarine Rhode Island (SSBN-740), leaves for an Atlantic patrol mission, out of Kings Bay, GA., 1999. USN photo # N-0000N-001 by Patrick Nugent, courtesy of news.navy.mil. 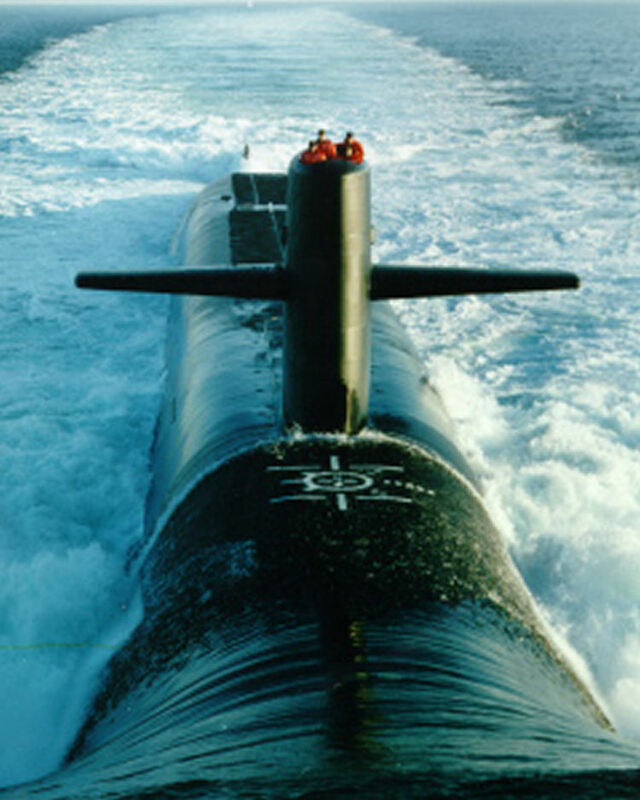 204k Stern view of the nuclear powered ballistic submarine Rhode Island (SSBN-740), as she leaves for an Atlantic patrol mission, out of Kings Bay, GA., 1999. USN photo # N-0000N-002 by Patrick Nugent, courtesy of news.navy.mil. 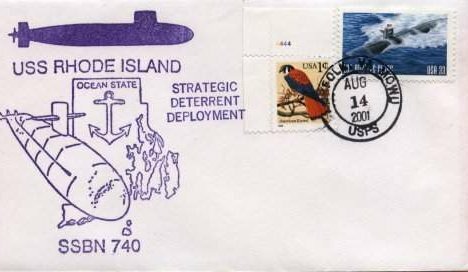 29k Commemorative postal cover issued on the occasion of the Rhode Island's (SSBN-740) participation during Strategic Determent Deployment during Operation Enduring Freedom, 14 August 2001. Courtesy of Jack Treutle (of blessed memory). 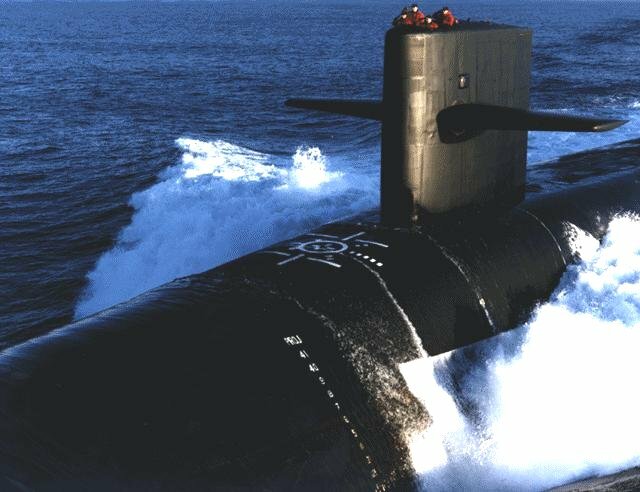 404k The ballistic missile submarine Rhode Island (SSBN-740) cruises through the Atlantic Ocean, 28 June 2003 as crewmembers work up on deck. USN photo # N-2903K-007 by Journalist 3rd Class B.L. Keller, courtesy of news.navy.mil. 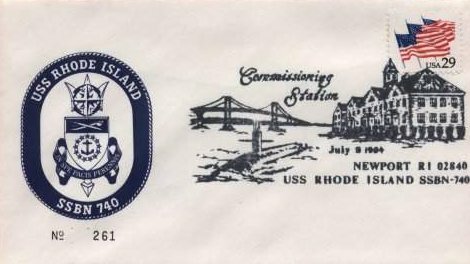 25k Commemorative post mark & postal letter of the Rhode Island (SSBN-740), marking 10 years in commission, 9 July 2004. Courtesy of Jack Treutle (of blessed memory). 366k Secretary of Defense Robert M. Gates is escorted by U.S. Navy Cmdr. 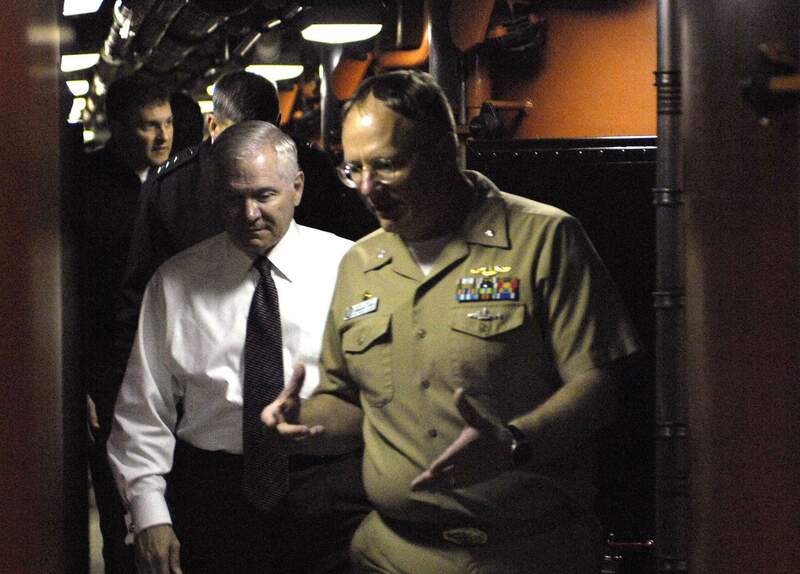 Mark Marty, the commanding officer of the ballistic missile submarine Rhode Island (SSBN-740), during his tour of the ship at Naval Submarine Base King's Bay, Ga., 31 October 2008. DoD photo # F-6655M-003 by Tech. Sgt. Jerry Morrison, U.S. Air Force via Bill Gonyo. 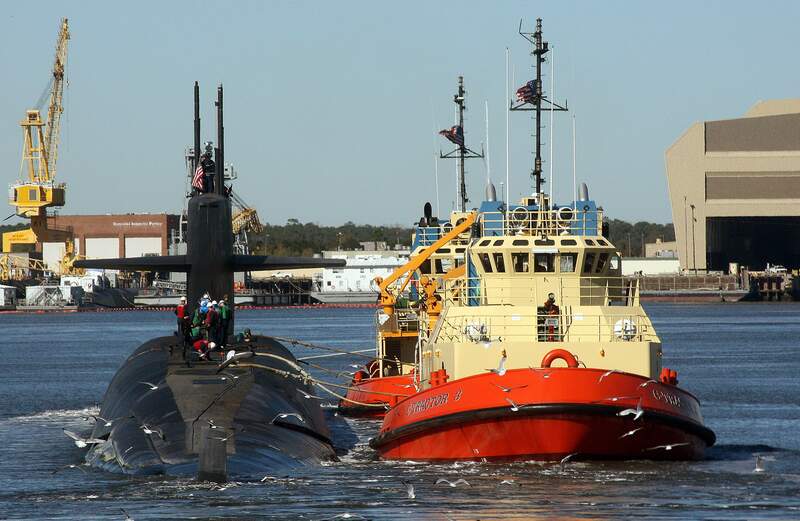 366k A tug boat escorts the ballistic-missile submarine Rhode Island (SSBN-740) to its berth at Naval Submarine Base Kings Bay, Ga., 9 January 2009. U.S. Navy # N-1841C-028 photo by Mass Communication Specialist 2nd Class Jon Rasmussen via Bill Gonyo. 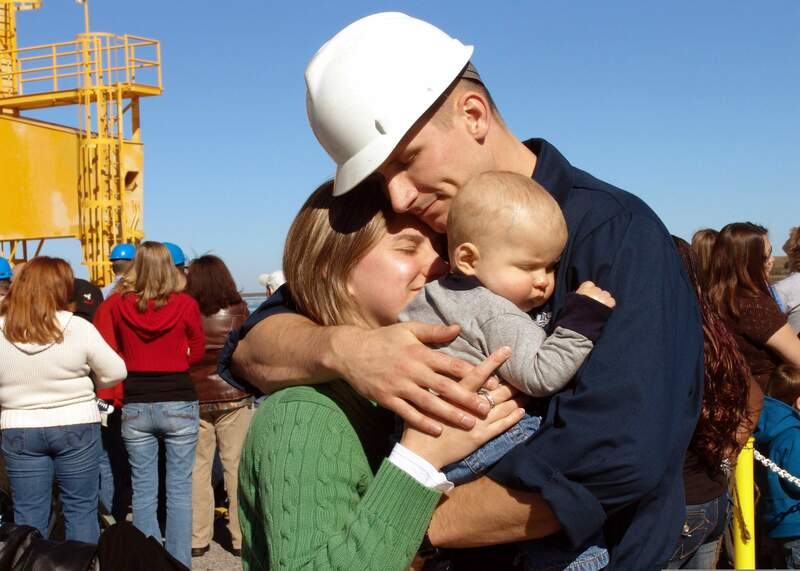 270k U.S. Navy Chief Machinist's Mate James Qualls hugs his wife and six-month-old son during the homecoming celebration for the ballistic-missile submarine Rhode Island (SSBN-740) at Naval Submarine Base Kings Bay, Ga., 9 January 2009. U.S. Navy # N-1841C-028 photo by Mass Communication Specialist 2nd Class Jon Rasmussen via Bill Gonyo. 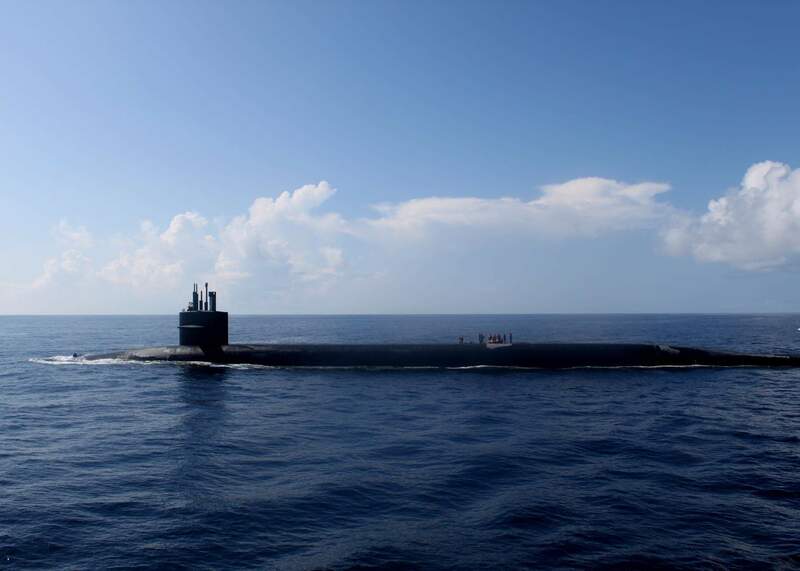 196k The ballistic missile submarine Rhode Island (SSBN-740) transits the Atlantic Ocean during its 49th strategic deterrent patrol on 16 August 2010. USN photo # N-1255R-100 by Lt. Rebecca Rebarich. 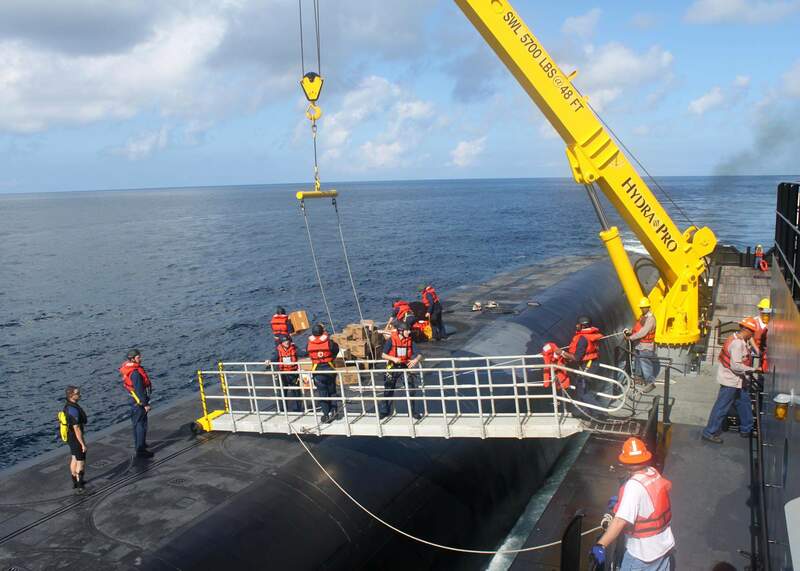 196k Sailors aboard the ballistic missile submarine Rhode Island (SSBN-740) load food stores during an open-ocean stop for personnel and cargo. USN photo # N-1255R-096 by Lt. Rebecca Rebarich. 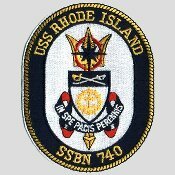 There is no DANFS History currently available for USS Rhode Island (SSBN 740) at the Haze Gray & Underway, the main archive for the DANFS Online Project.